MSU-TGEF was established in January 2016 by the Office of the Vice President for Research Graduate Studies with the goal to provide faculty on campus with comprehensive expertise, resources and support in genetic engineering, molecular cloning and delivery of gene editing reagents to experimental systems. 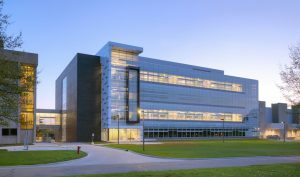 The TGEF lab is located in the new MSU Bio Engineering Facility off Service Drive. The mission of MSU-TGEF is to support the in-house generation of transgenic organisms, embryos and cells lines in a variety of species using the latest genome editing technologies such as CRISPR/Cas. MSU-TGEF provides support at all stages of genome editing projects, including project consultation, experimental design, construct generation, validation and molecular screening; and delivery of genome editing components to cells and embryos through transfection, electroporation or microinjection. The MSU-TGEF program is directed by Drs. Elena Demireva and Huirong Xie. Their leadership brings over 17 years of collective expertise and experience in molecular biology, genetics, and reproductive biology.